[12:47:43] <BigJohnT> anyone take a look at why M66 fails to respond to hardware inputs? [12:48:00] <alex_joni> BigJohnT: all I can say is that it works for me..
[12:48:13] <alex_joni> are the inputs long enough? [12:50:51] <BigJohnT> hmm, how long do they need to be? [12:52:40] <BigJohnT> do you have a snippet of code where it is used for an example? [13:31:30] <stustev> finally! I am loading software on the G&L. [13:32:19] <stustev> I think all peripheral systems will be completed today. [13:52:49] <alex_joni> stustev: is that you in the last pic? [13:54:13] <alex_joni> stustev: what is 'W' on that machine? [13:58:45] <stustev> Yes, it will be running EMC2. The W axis is the table movement in the Z axis. The machine has 4 axes - all linear. XW on the table. Y is the column up and down. Z is the quill. [13:59:30] <fenn> stustev: hi. do you think you could run 'convert' on those images to make them a little smaller? [14:00:36] <stustev> fenn: sure - is convert a command line application? [14:07:25] <fenn> does he have a cadre of loyalists to take up the mantle? [14:07:30] <jepler> what's to be gained from that -- a linux port? [14:07:47] <fenn> dunno.. what's to be gained from keeping it secret? [14:08:07] <alex_joni> fenn: he keep selling it? [14:08:35] <skunkworks_> stustev: how long does it take you to tune a axis? and what is your favorite way of doing it? [14:43:19] <alex_joni> are these your machines? or do they go out to customers? [14:45:33] <archivist> * archivist finally finds the pic with the cast iron, a serious lump! [14:47:51] <skunkworks_> * skunkworks_ loves those tumbstones. [14:54:14] <cradek> stustev: it looks great. has it moved yet? [15:05:04] <alex_joni> stustev: are these your machines? or do they go out to customers? [15:08:13] <alex_joni> stustev: how long did the retrofit take for the G&L? [16:25:04] <skunkworks_> dave! how is the tuning going? [16:26:18] <daveengvall__> I think I can get a step response off halscope and a battery box. [16:26:31] <iso> PowerPath on Oracle Unbreakable Linux "Starting PowerPath: This package requires RedHat RHEL5. failed"
[16:41:07] <daveengvall__> So assuming I can get a step response off my axis how do I get from there to PID? [16:42:16] <SWPadnos> have you read the Gecko G320/G340 manual? [16:46:51] <daveengvall__> You mean in 60+ years we don't have anything better? [16:50:27] <SWPadnos> do you use an insanely high accel at first, to get it close? [17:08:56] <daveengvall__> it gets sent over the wire ???? [17:10:54] <jepler> SWPadnos: did you try using the no-hlt kernel boot option to see if it had the same or similar effect to running a busy-loop? [17:11:57] <cradek> is that using isolcpu? [17:15:28] <fenn> daveengvall__: i've got piles of "experiments" laying around - does that count? [17:16:19] <daveengvall__> anyone using the C7 mini-itx boards besides Ray? [17:16:23] <fenn> SWPadnos: so, they have insurance or something? who pays when it explodes? [17:24:03] <BigJohnT> allen bradley ? [17:25:50] <daveengvall__> once I get the shop stuff running I can play with tuning ... maybe by different methods. [17:30:48] <SWPadnos> yep, for strange values of "fun"
[17:40:02] <BigJohnT> you know the call, "my allen bradley quit can you program it"
[17:49:42] <fenn> so.. i add myself to a group "usermod -a -G fuse fenn" then "chgrp fuse filename; chmod g+w filename; touch filename" and i get permission denied - what? [18:17:14] <micges> cradek: saw pics o my mill ? [18:18:40] <BigJohnT> you put them up on wiki? [18:20:03] <fenn> why do you need bellows for a laser? [18:21:17] <micges> what is bellows ? [18:29:00] <BigJohnT> micges: is that a router? [18:30:47] <BigJohnT> is it for cutting wood or metal? [18:32:37] <BigJohnT> micges: how much Z travel does it have? [18:35:10] <BigJohnT> made for cutting sheet material? [18:45:11] <skunkworks> next time dave is in - someone should tell him to try the at_pid. It does the Zn method. [18:49:43] <micges> to all: tool height compensation have any known issues ? [18:51:38] <alex_joni> SWPadnos: got nothing to test it with atm..
[18:52:06] <alex_joni> not even a meter..
[18:52:28] <SWPadnos> got a spare speaker? [18:56:21] <SWPadnos> in vmware or a real Linux boot? [18:57:45] <SWPadnos> do you see any parallel ports in lspci? [18:58:04] <BigJohnT> micges: nice work, what does the air cylinder do? [19:06:38] <micges> BigJohnT: what you are doing? [19:07:53] <micges> ok :) what you do ? [19:15:21] <SWPadnos> with a mill or a laser/plasma? [19:18:28] <micges> and if I have material height 10 mm on left and 15 on right and want to make row 2mm deep ? [19:20:36] <SWPadnos> oh - are you talking about something that is not level, and you want to move from the tall part (15mm) to the short part (10mm), maintaining depth? [19:22:10] <alex_joni> hmm.. anyone knows where I can find cheapish linear guides? [19:49:28] <alex_joni> any idea what I could try? [19:56:58] <alex_joni> would the board need initialisation by the 'parport' driver first? [19:57:08] <alex_joni> e.g. 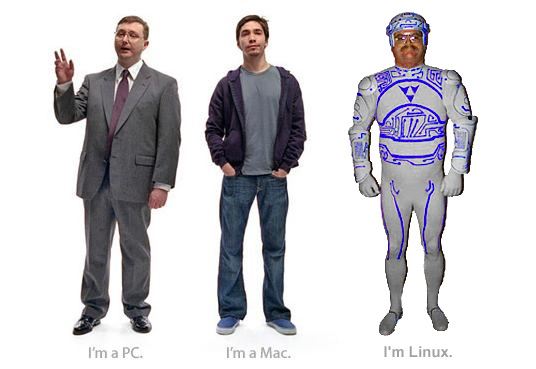 linux parport or parport_pc ? [20:02:49] <micges> but thats great and simple idea ! [20:22:58] <alex_joni> after unloading them, I loaded hal_parport cfg="0x6020"
[21:21:40] <maddash> er, what is the peak AC voltage in the US? [21:24:16] <maddash> but what does "120V" mean? AC amplitude? or RMS voltage? [21:25:08] <maddash> wait a sec -- isnt peak2peak twice the amplitude? [21:25:32] <maddash> cradek: don't you live in finland or something? [23:29:12] <SWPadnos> what do the blinkenlights mean?